Ships today if you order in the next 15 hours 42 minutes. Green coffee beans have not yet been roasted. Since roasting destroys some of the chlorogenic acid in coffee beans, these raw beans contain more chlorogenic acid than regular, roasted coffee beans. This is a good thing because chlorogenic acid is thought to have several health benefits, some related to cellular and heart health. 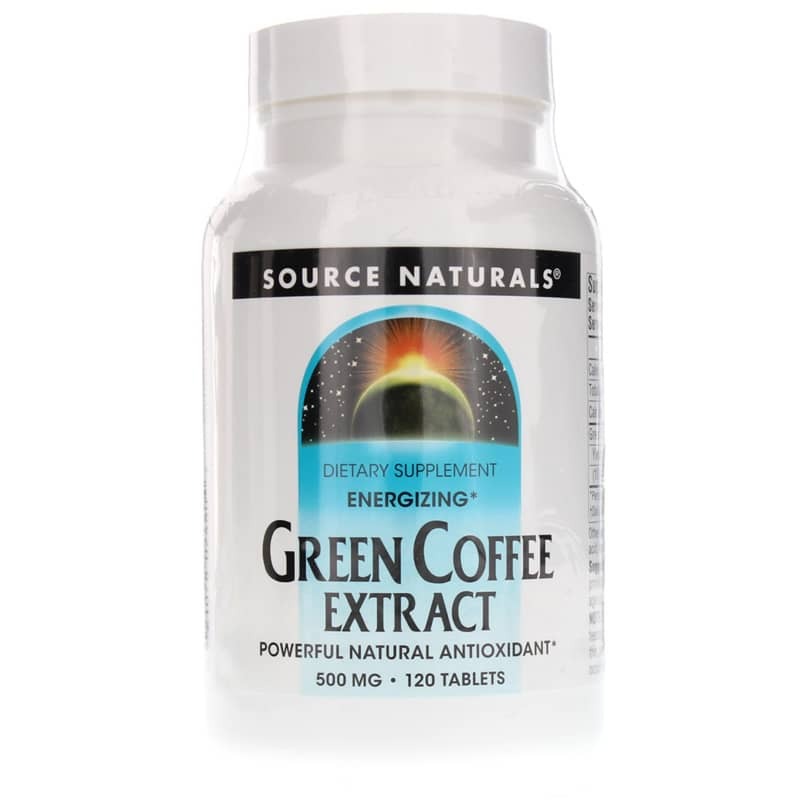 Source Naturals offers a natural supplement called Green Coffee Extract that supports normal cellular regeneration and growth. Each tablet contains 500mg of green coffee bean extract and 50mg of calcium, and provides the same amount of polyphenols and chlorogenic acid as a cup of coffee. 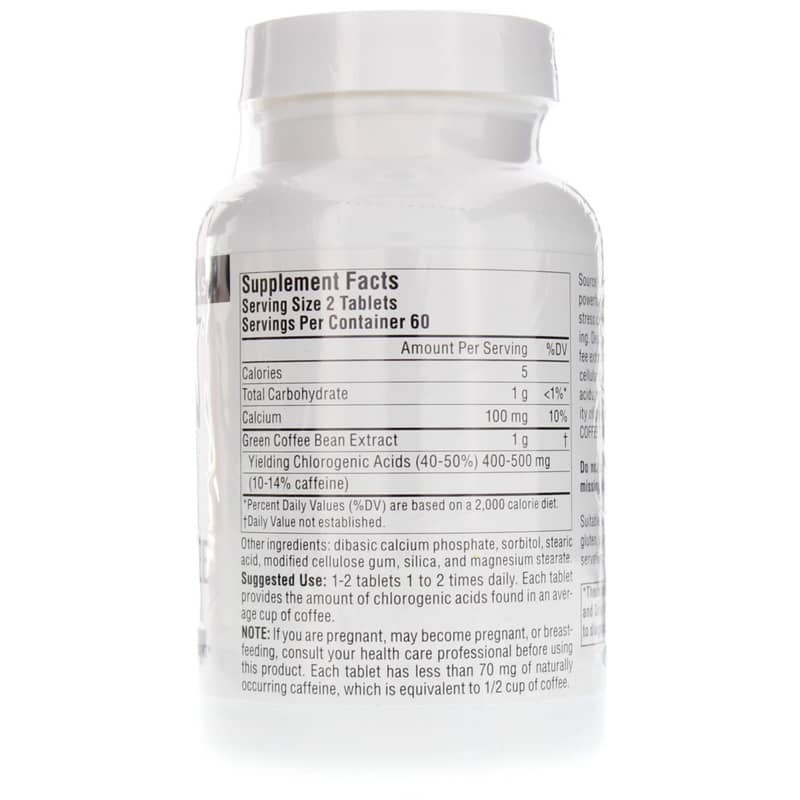 This supplement is suitable for vegetarians. 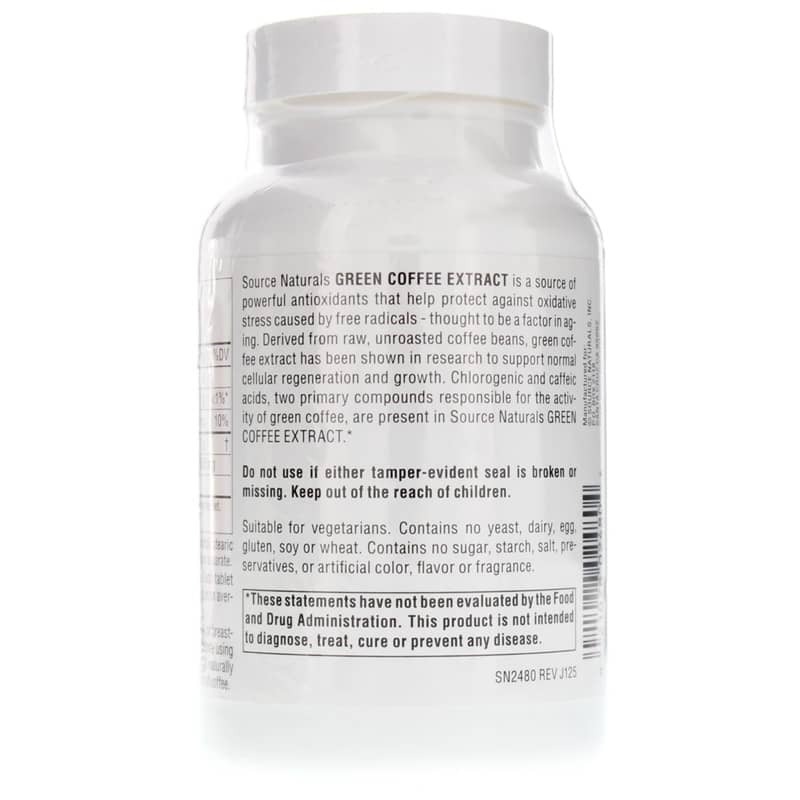 If you're looking for a natural green coffee supplement that supports normal cellular regeneration and growth, check into Source Naturals' Green Coffee Extract. Order online today! Contains NO: yeast, dairy, egg, gluten, soy, wheat, sugar, starch, salt, preservatives, artificial color, flavor or fragrance. Suitable for vegetarians. Adults: 1-2 tablets 1 to 2 times daily. Each tablet provides the amount of chlorogenic acids found in an average cup of coffee. If you are pregnant, may become pregnant or are nursing, please consult your healthcare professional before using this product. Each tablet has less than 25mg of naturally occurring caffeine, which is equivalent to approximately 1/4 cup of coffee. Keep out of the reach of children.